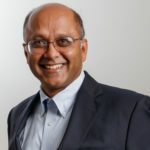 Naren Dhamodharan founded NDA Consultants in 2004 to provide housing consulting services for the creation and preservation of affordable housing for seniors. NDA developed a nationwide reputation as the premier consultant for HUD’s Assisted Living Conversion Program (ALCP). The ALCP program focused on the development of Housing With Services within HUD financed senior multifamily housing properties. In total, NDA clients converted nearly 2,000 units into Housing With Services under the ALCP program. In order to meet the growing financing needs of many clients, Naren founded Hampden Park Capital in 2013. In 2017, NDA Consultants was renamed Hampden Park Consulting in order to create a consistent platform for the range of services that the two companies provide. Now, Hampden Park Capital & Consulting is able to offer clients a seamless transition from its housing consulting services to its FHA/USDA insured mortgage banking services. We are proud to serve as a “one stop shop” for our clients. To date, Hampden Park Capital & Consulting has been involved in the refinance/preservation of over 50 elderly housing properties across the country and has preserved nearly 2,500 units of housing for seniors. Through those experiences, we have become experts in a wide array of financing, preservation, new construction, and voucher programs, including the HUD Section 202 and Assisted Living Conversion programs, State and Federal Rental Assistance programs, FHA- and USDA-Insured Lending programs, and the Low-Income Housing Tax Credit program. Hampden Park Capital & Consulting is a mission driven organization committed to helping our clients to preserve and expand the availability of safe, decent and affordable housing, with a focus on senior housing. We actively support our clients in achieving their missions by assisting them through each stage of development. We have a unique understanding of the tools available to preserve affordable housing and believe in tailoring strategies and developing solutions for each project based on the physical and financial needs of the individual project and the overall mission of the non-profit organization. We enjoy and believe in building respectful, trusting and long-lasting relationships with our clients. Please contact us today to see how we may be able to assist your organization.